If you already use MediaMonkey and Last.fm, you are not short of statistics about your music collection and your listening habits. 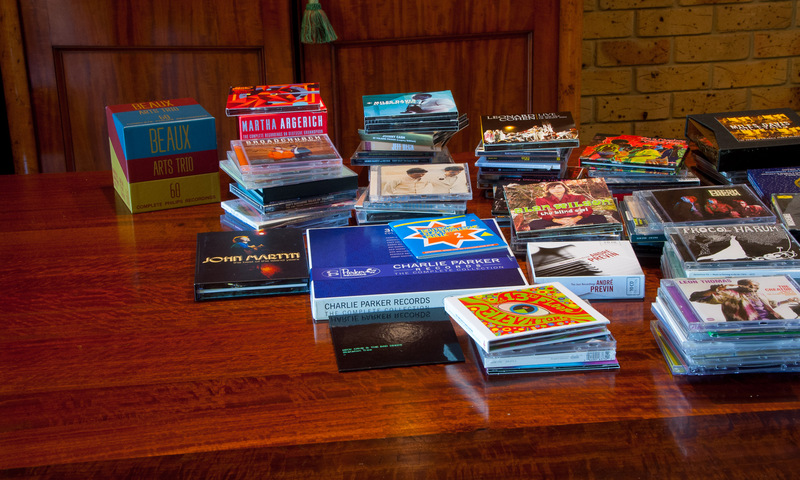 MediaMonkey will show you the size of your collection, measured in tracks, albums, total duration, and in gigabytes. Last.fm can display your play history, and your Hit Parade. 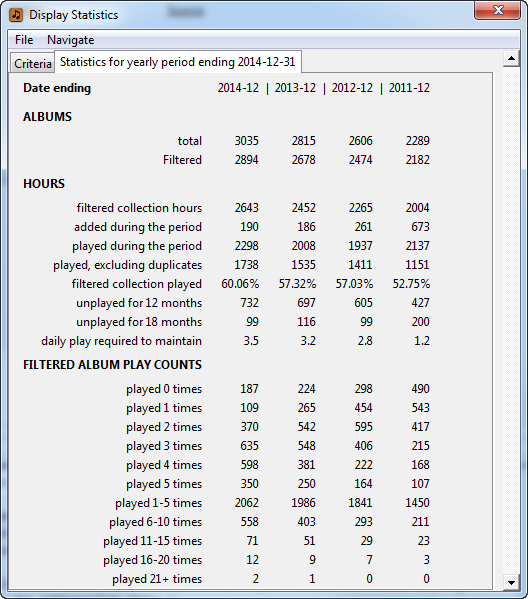 For quite some time I didn’t bother to add any statistics into AlbumPlays, as there seemed to be little point. But then there is that small nagging angst, arising from continuing to collect CDs once your collection passes a certain size, while in the face of a glut of availability coming from an ever increasing number of streaming services. Friends don’t help; “How do you find time to play all those things? Why do you bother?” either said dismissively or with some pity. The MediaMonkey and Last.fm stats don’t really help to calm these thoughts. I wanted to see whether I was continuing to play these albums. I wanted some reassurance that there was still some point to my collection, and that collecting hadn’t become some kind of sad pointless compulsive habit. I wanted some idea of the trend of the actual usage of my collection. 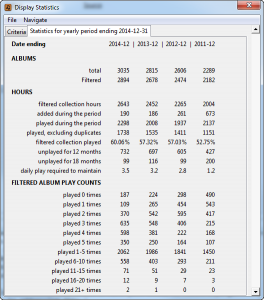 The collection statistics which I have just added to AlbumPlays go some way to addressing this. The facility maintains statistics over several periodic ranges; monthly, quarterly, 6 monthly, and annually. It focuses down into the main body of your collection, by filtering away albums and tracks that you don’t care so much about; kid’s or partner’s albums, duplicates, bonus albums, audience recordings, etc. The statistics show the change in your collection, and the use of your collection, over a period. You can tailor the statistics to suit the size of your collection, and the amount of play history that you have available. The facility can go back through your play history to build statistics for all of the periods which pre-dated this new facility. Use with caution. There is a difference between idly wondering whether your collection is starting to grow beyond a useful size, and knowing that your collection has grown to a bloated state, where much of it has become a stranger to yourself. My site has free tools to produce your own collection statistics. Previous PostPrevious How safe is your scrobble history?